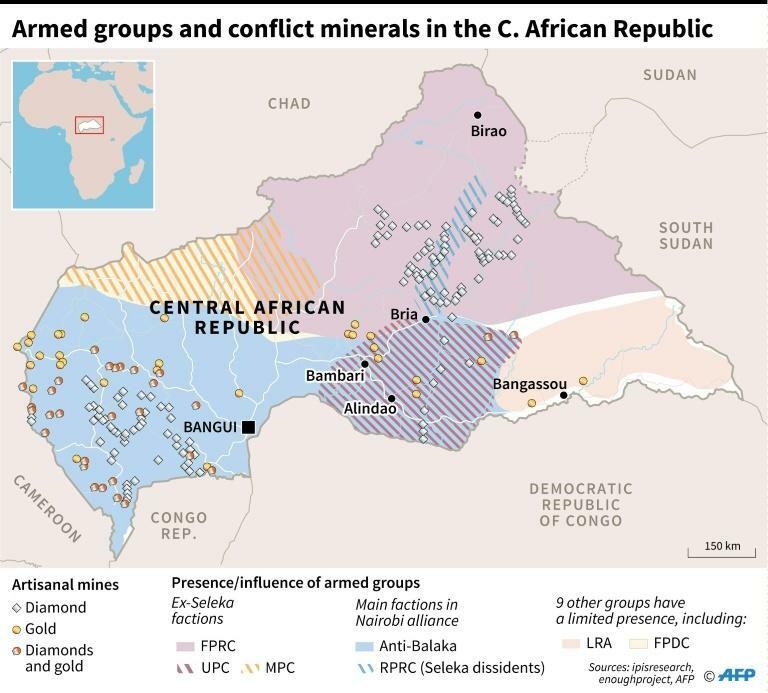 A peace agreement between the government of Central African Republic and 14 armed groups which control most of the country has taken effect after the final signatories inked the document. The so-called Khartoum Agreement, concluded in the Sudanese capital, is the eighth attempt in nearly six years to bring peace to one of the world's poorest and most unstable countries. - The parties acknowledge the "painful consequences and the scars of serious crimes" and vow not to repeat them. - A Truth, Justice, Reparation and Reconciliation Commission will begin its work within 90 days. - In the meantime, the parties will set up a commission to investigate the CAR's conflict and propose actions which could lead to legal proceedings. - The agreement does not spell out any amnesty for militia leaders -- something that has been a stumbling block in past agreements. However, the president may exercise a "discretionary right to issue pardons". - Signatories agree to set up "special mixed units" of militia members and the security forces under an initial two-year transition period. - The units will be supervised by the military. Militia members who join these units must adhere "completely" to the principles of the peace deal and complete two months' training. - The units can request technical assistance from MINUSCA, the UN mission in CAR. - The parties agree to respect the constitution, laws and regulations of CAR. - They agree to not seize or retain power by force. - They agree to organise free, transparent and credible elections to "consolidate democracy". - The president agrees to form an "inclusive government". - The parties recognise the deal depends on "sincerity" and acting "in good faith". - They agree to set up an implementation and follow-up mechanism (MOS) to check on the deal's progress. - Separately, they will create an "Executive Committee for Follow-up" (CES), co-chaired by the African Union, the government and militias. It will meet at least once a month.